Rio de Janeiro, 31 March 2017 — Treatment for hepatitis C using the key drug sofosbuvir could be vastly scaled up in Brazil after the decision by the National Agency of Health Surveillance (Anvisa) to reject a key patent application on the drug marketed by pharmaceutical corporation Gilead. The decision could pave the way to enable generic competition in Brazil, which should lead to price reductions, making it more affordable to scale up treatment. The exorbitant cost of sofosbuvir has prompted a global debate about inaccessible and unacceptable prices of patented drugs. In the United States, Gilead originally set the price of sofosbuvir at US$1,000 per pill – making the drug more expensive than gold – while studies show it can be produced for less than $1 per pill. This week, in Europe, MSF and partners have challenged the same patent that was rejected in Brazil by Anvisa at the European Patent Office, in order to increase access to the treatment. In Brazil, sofosbuvir has been used in the Brazilian Public Health System (SUS) since the end of 2015. Prior to that, the Working Group on Intellectual Property (GTPI) – a collective of civil society organisations coordinated by the Brazilian Interdisciplinary Aids Association (ABIA) – had filed a patent opposition on the drug showing the patent is not merited. In the decision, Anvisa took into account GTPI’s argument that the patent application does not meet patentability criteria established in Brazilian law. Patent applications on sofosbuvir have already been rejected in Egypt, China and Ukraine. Gilead currently charges $6,293 for a 12-week treatment course of sofosbuvir in Brazil. The best generic prices are currently available for around $200 per treatment course, but access is restricted by voluntary licences signed by Gilead, which block sales to countries like Brazil. 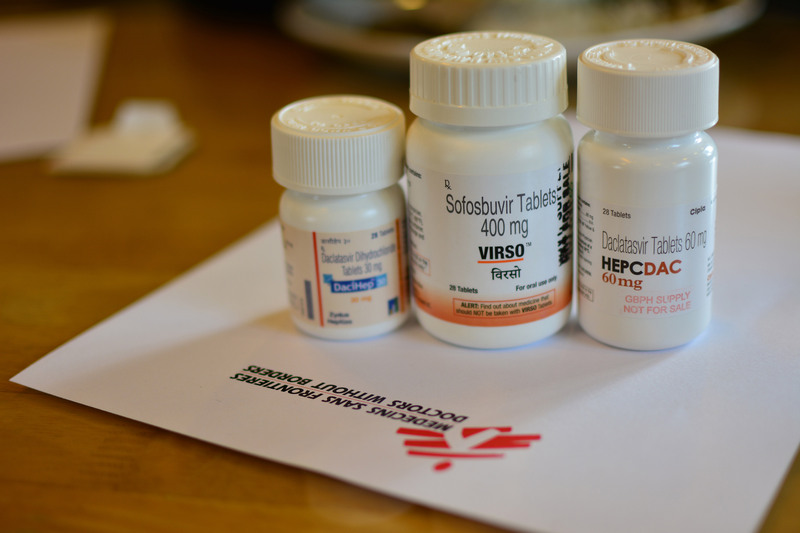 In June 2016, an initiative for local production of a generic version of sofosbuvir was announced by a consortium that announced a price less than half of what Gilead charges. In early 2017, this consortium also filled a patent opposition. Following the patent rejection, generic versions could soon enter the market, reducing the price and expanding access to treatment. Anvisa Prior Consent in Brazil: In Brazil, the law allows officials from the Agência Nacional de Vigilância Sanitária (Anvisa), the body responsible for regulation and approval of medicines in the country, to work in partnership with the National Institute of Industrial Property (INPI) to evaluate the validity of patent applications. Anvisa can provide a preliminary decision recommending whether a pharmaceutical patent should be rejected or granted, prior to a subsequent final decision by INPI. Anvisa Prior Consent is a critical public health safeguard widely recognised, including by World Health Organization, to ensure that patent laws are implemented in a way that balances the private rights of patent applicants with the public interest. Read more about Brazil's patent system and Anvisa Prior Consent.